If you are busting your but in the gym, but not feeding your body the fuel it needs to grow then you may be spinning your wheels. Sleep and food choices have a profound impact on the progress you will experience. 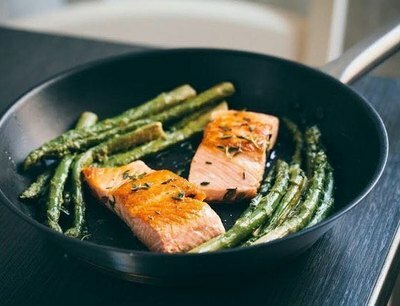 Are there foods you have found the way that help? That looks like a photo right out of your own kitchen! . 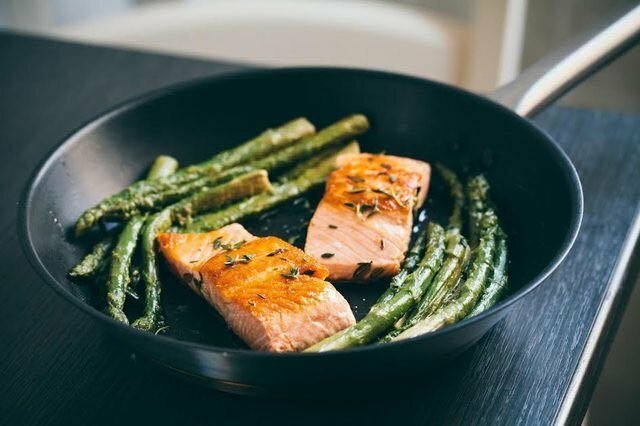 Salmon and asparagus, one of the best food combos! Our small town grocery store had baby asparagus today and I bought a bundle of it for dinner tonight. We're celebrating our 33rd Anniversary today and I'm gonna make something very special for dinner tonight.